**ONE OWNER** 2016 HONDA CIVIC SEDAN EX-T with powerful engine and driven only 35k miles! Fully loaded and much more! 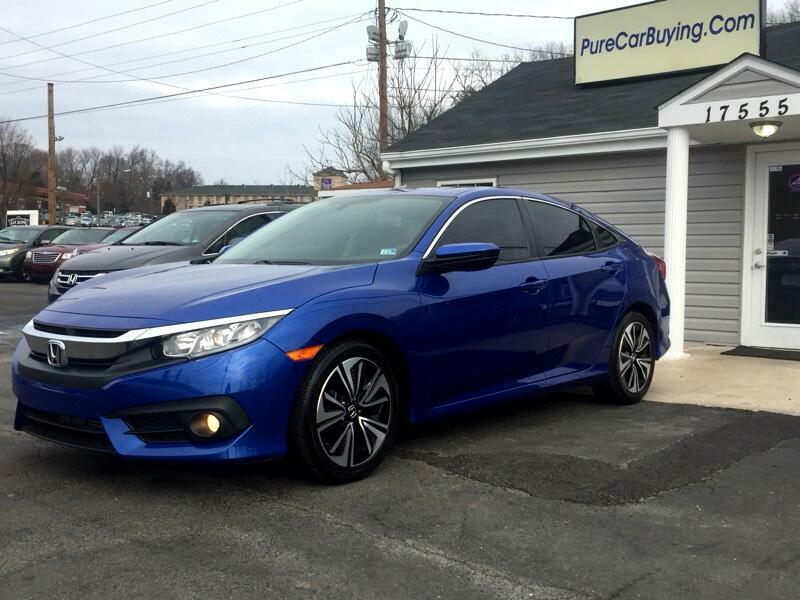 CARFAX CERTIFIED**FINANCING AVAILABLE** Contact our Sales at 703-634-2649 // MUST SEE THIS 2016 HONDA CIVIC. THIS HONDA CIVIC HAS LOW MILEAGE, AND FEATURES WITH ON BOARD COMPUTER SYSTEM, PREMIUM SPORT PKG WHEELS, PREMIUM AUDIO SOUND SYSTEM, HD RADIO, STEERING CONTROLS,BLUETOOTH CONNECTIVITY, ALL THE CLASS AND LUXURY YOU CAN ASK FOR//VA STATE INSPECTED//MUST SEE THIS HONDA LOOKS AND DRIVES LIKE NEW//Additional Information A/C Front,Anti-Lock Brakes,Driver Air Bag,Power Mirrors,Power Steering,Power Windows,Premium Sound System,Side Air Bag,Tilt Wheel,Traction Control,MP3 Player,Satellite Radio ,Backup Camera,Keyless Entry ,Bluetooth Connection,Passenger Air Bag,Rear Air Bags,Power Door Locks,Cruise Control,AM/FM Stereo,Heat/AC ,Auxiliary Audio Input,Steering Wheel Audio Controls,Brake Assist// Please Visit Us At www.PureCarBuying.com. Visit Pure Car Buying online at purecarbuying.com to see more pictures of this vehicle or call us at 703-634-2649 today to schedule your test drive. The Pure Car Buying Team understands how difficult car buying can be and we are here to guide you and give you the best car buying experience. With Knowledgeable staff, and great prices we cater to the consumers top expectations! With Many years of experience our professional finance team can help you get in to the car of your dreams regardless of past credit history. We have partnerships with many nationwide lenders to provide you with the best option that meets your needs.